Bahria Town is undoubtedly the pride of the real estate sector of Pakistan. The state of the art facilities, excellence in architecture and systematic execution of every plan are the factors which put Bahria Town’s every project into the limelight. Although Bahria Town’s project is spread into every city of Pakistan, the most amazing one is the Bahria Town Karachi. Bahria Town Karachi is one of the biggest real estate projects in Pakistan. 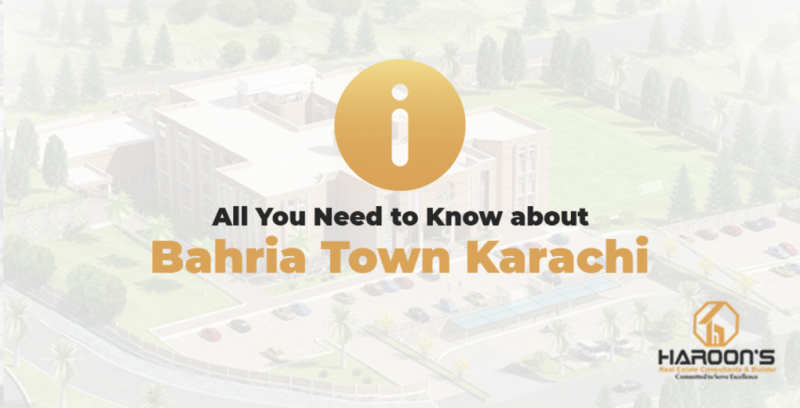 Adding a new dimension to Karachi, Bahria Town Karachi includes total 45 precincts where every precinct beholds something incredible and worth your attention. One of the most prominent sub-projects of Bahria Town Karachi is Bahria Paradise Karachi. So What’s So Special about Bahria Paradise Karachi? Well, to be honest, it’s one of its own kind and one cannot find such a unique housing society in all over Pakistan. Based on the theme of New York’s Central Park, the society is built on 64 acres of dense greenery and plantation. Central Park of Bahria Paradise Karachi is going to be the greatest landmark attraction of the entire project. The Central Park is located in Precinct 54. It will be easily accessible from any part of Bahria Paradise, thanks to 3 main roads that run next to it which are Paradise Avenue (200 ft Wide), Quaid Avenue (150 ft wide), Sir Syed Avenue (120 ft wide). Bahria town Paradise Karachi is much more than a Housing society. But this is not it, there is much to this housing society full of natural beauty. In fact, the whole idea of this project was to do experimentation in order to provide world-class facilities and luxuries. In Bahria town Paradise Karachi, a grand 5-Star hotel measuring 18.5 acres in size will also be constructed on one corner of Central Park. Entire Park will be surrounded by commercial plots offering profitable commercial opportunities for investors. 500 Sq. Yard Bahria Paradise Villas and Bahria Carnival will also be located nearby.